Polyommatus aroaniensis inhabits bushy grasslands in mountain areas up to about 1700m asl. According to literature, hibernation takes place as a young caterpillar (L1?). I found numerous fresh adults in the first third of July in the Falakron area (Northern Greece). 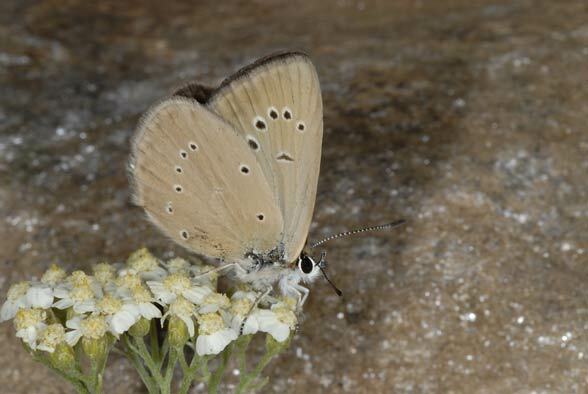 Polyommatus aroaniensis occurs only in Greece and adjacent parts of Macedonia and Bulgaria. But Polyommatus fabressei is very close (Spain). Similarly are also P. humedasae from the Aosta Valley and P. agenjoi (Southern Spain).